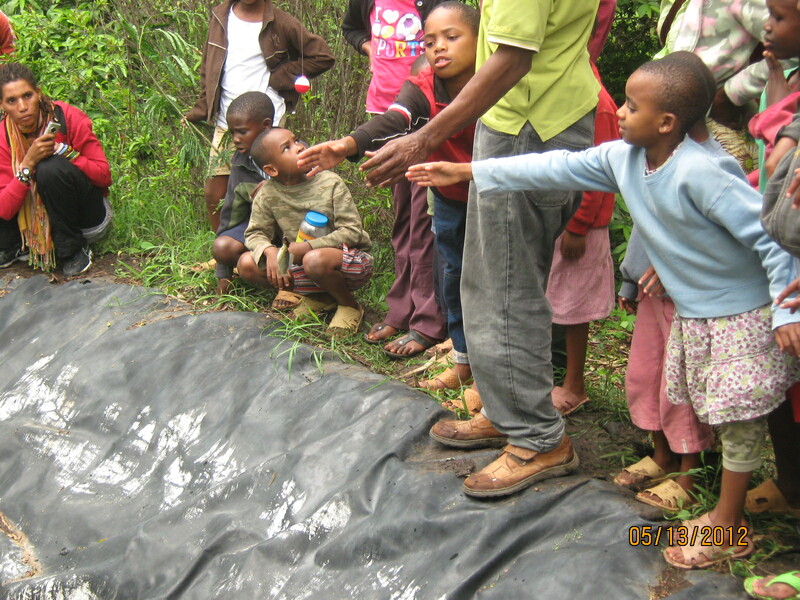 In early May 2012, the children and Pete took a short trip southwest of the UAACC to visit an old friend, Erik. 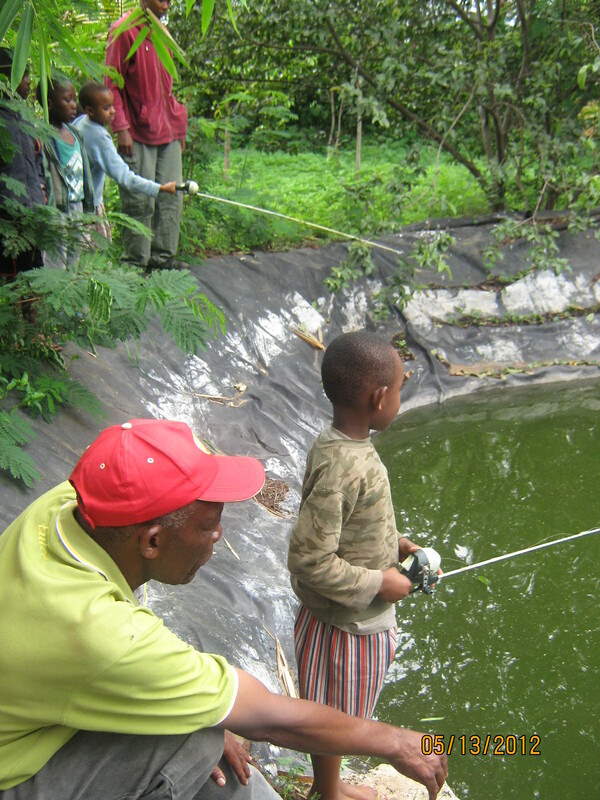 The day included fishing lessons, trying out Erik’s man-made and well stocked fish pond, and a waterside picnic. 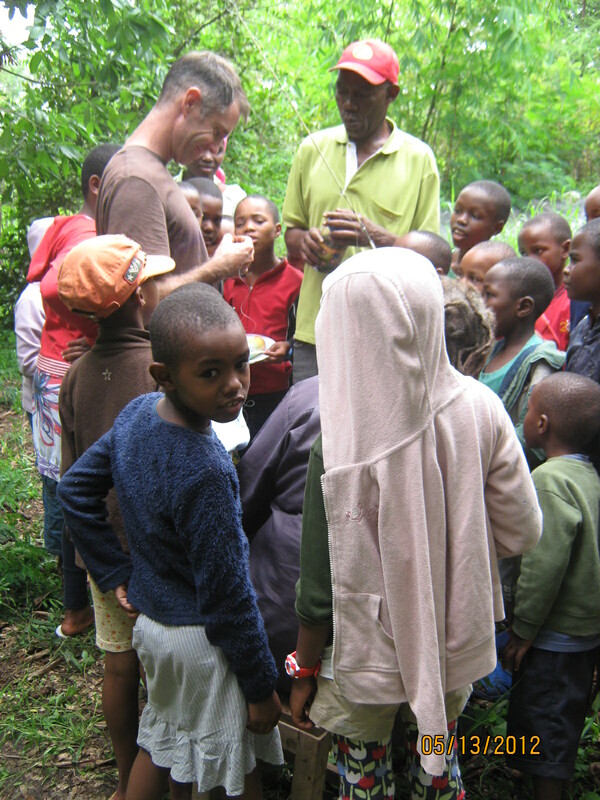 Eric, the host of the fishing trip, shows the children how to tie an essential fishing knot. Agape and Halima reach for the line. 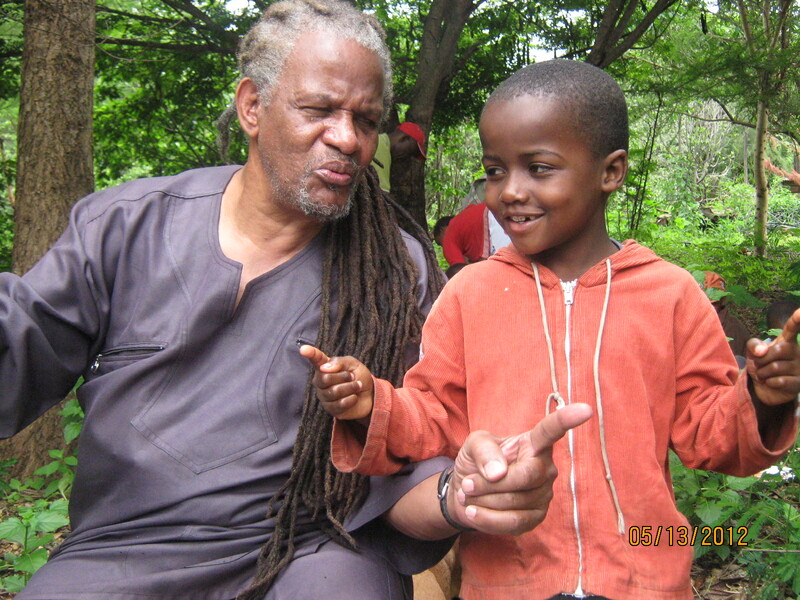 Omari casting in the foreground, Agape and Ayubu in the background. 5 year old Cresious admiring his catch, Mage in awe. 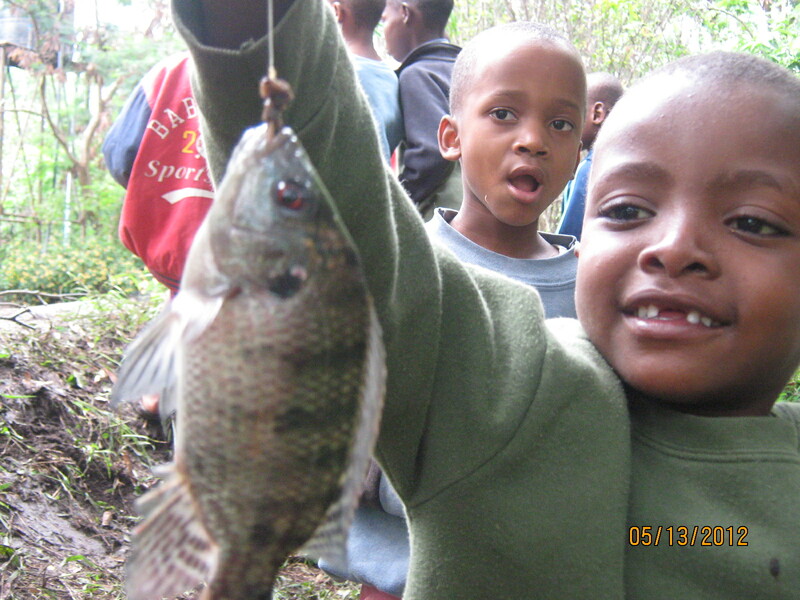 Babu teaching Joshua the art of telling a good fish story.